I spent the last nine weeks teaching video game design for Galileo Learning. It’s a summer camp in the bay area; sort of like summer school in that there are classes and kids have a major they attend. Each week I taught a class of around 16 kids either an introduction to video game design and development or an advanced course where we built on what was learned in the first class. I broke my class up into strike teams of three to four, and after the tutorials on the use of the Multimedia Fusion 2, Gimp, and Audacity, plus all our talks about gamed design; they had about two days to develop their games. I often got generic platformers, with a bunch of enemies on paths set to the default speed, these launch objects at the player when they are in a zone and there were generally a number of pits where one could fall to one’s death. However this was not always the case. The most interesting games tried to push the boundaries of what they knew they could do with the program. 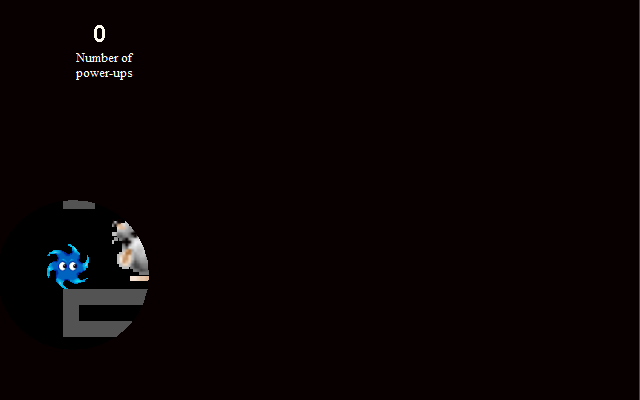 They would try to learn new things while developing, or focus very heavily of elegant design and good art. Sometimes they were buggy, or just unfinished. But, it always impressed me what my kids could prototype in such a short time. I wanted to share a few of these here. 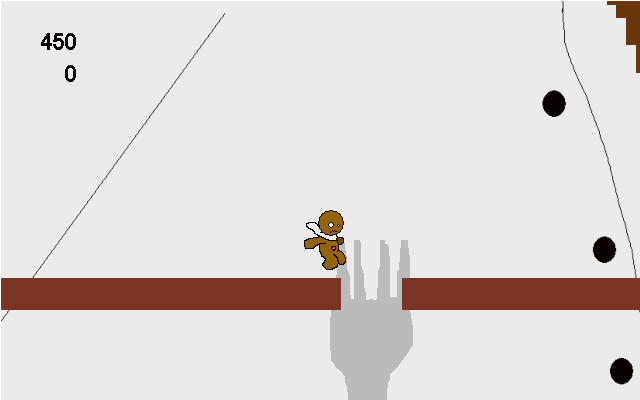 Gingerbread Runaway is a really awesome game. One of the students on this team got sick after the first day and this ended up being created by a team of only two. However, Austin was one of the best collaborators I had in all my classes, the kids did some truly awesome original art, and they really tried to experiment with programming in MMF2. The team that created Sewer Escape really seemed to understand scaling difficulty. The explanatory text is funny in a way that only kids can be. 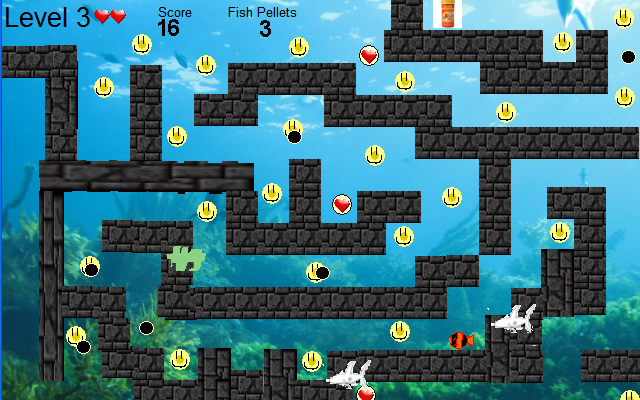 Katfish is a fun little maze game that makes good use of balancing life and hazards. Kids often felt the need to make their games punishing, but this team understood that their game could be enjoyable if it was simply well designed and themed. 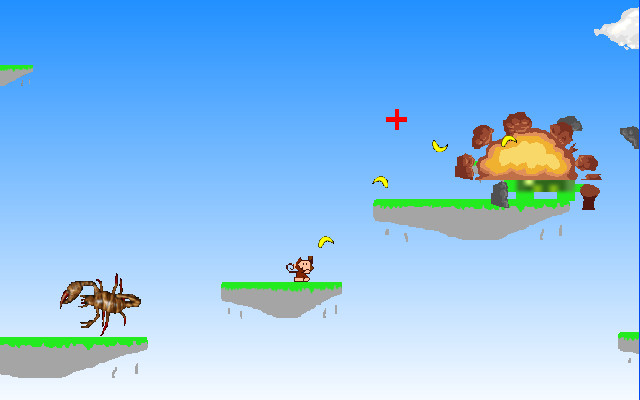 Monkey Runner uses a cross hair to control where the player can launch bananas toward. They also created moving, crumbling, and tar platforms. This team was the first to use parallax. While there are some bugs in this game I am fond of it because it really pushed the limits. Cat Kingdom Wars is a tower defense game that never quite came entirely together. The first level is closest to the finished experience they intended. You can place towers by clicking the buttons and then drag them around with the mouse. The last level has waves of invading mice. The art was all original. To spite over-scoping heavily I have included the game here because it is again another example of a team going above and beyond in their efforts. Food Fight is a game much like angry birds. Physics is hard to do in MMF2 and I was super proud of this team for even trying. 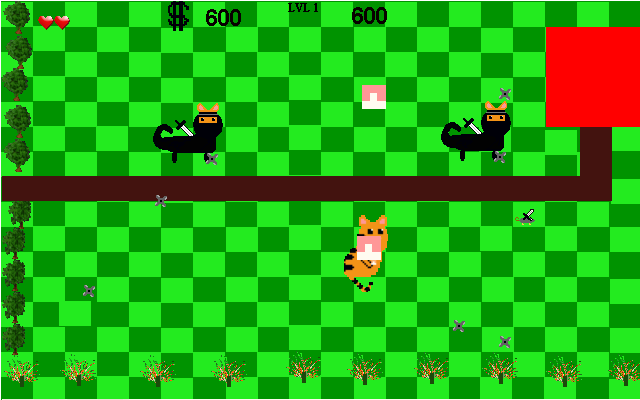 They never quite got the obstacles to interact right but they created a basic game template that would have allowed them to make a bunch of new levels if they had had time. It was awesome watching the Future Jump team come together. Originally they couldn’t agree on anything and the team was divided into two camps. However, after I explained both groups’ ideas were way over-scoped, and we had a talk about how ideas are much like disposable cups, they came together whole heartedly over a third idea. It’s not completely finished but the core experience is and they really understood the concept of explaining the underlying concept of a game in a short cut scene (even if theirs is extremely short). 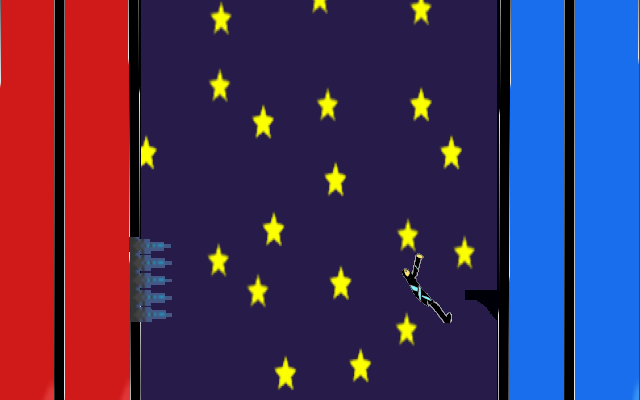 Controls: Up arrow key to jump forward, Left and Right arrow keys to jump between walls.